Mice can get into homes and become a real problem—building nests, contaminating food, causing damage, and spreading disease. But to get rid of them, you need to understand what they do and what they like. Trapping and excluding mice usually are the best DIY methods for controlling a mouse problem. Poisoning mice puts children and pets at risk. 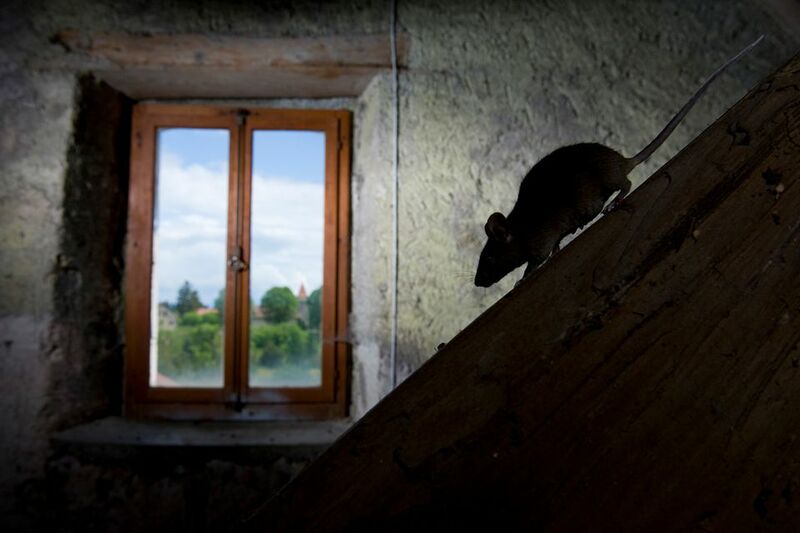 At the other end of the spectrum, failing to get rid of mice in the home (in the name of being humane) can lead to large populations inside the house and possibly the need for professional extermination. In other words, it's most humane to trap and kill or relocate mice as soon as possible to minimize the numbers that must be dealt with. Gnawed holes in stored foods, piled papers, insulation, etc. How Do I Know If It's a Mouse or a Rat? Mice are much smaller than rats. Adult mice are about 7 1/2 inches in length, including the tail. 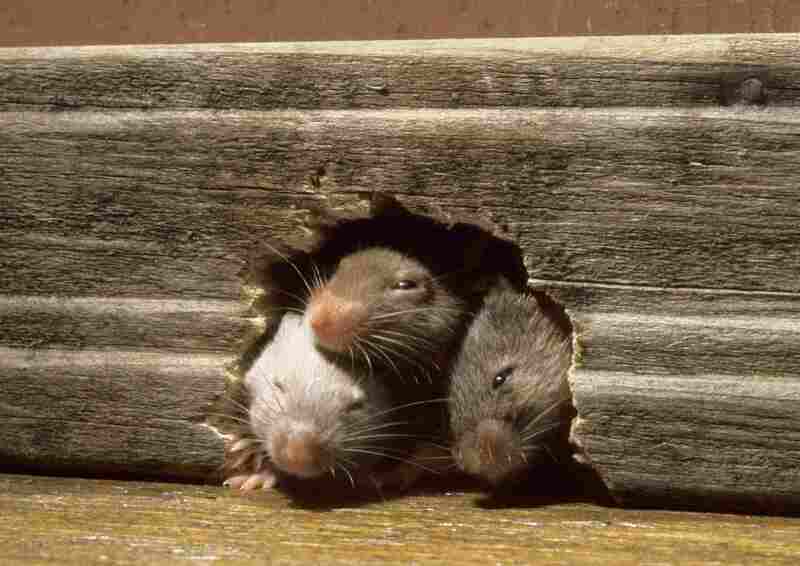 The most common rats in the U.S. are the Norway rat and the roof rat. They are about 14 to 16 inches in length, with tail length varying by species. Mice most prefer to eat cereal grains and plants, but they will feed on almost anything. They are very commonly drawn to dried (and bagged) stored food, including pet food. A house mouse will rarely live more than a year in the wild, but in a protected environment with food and water (like a house! ), it can live up to three years. Why Do I Keep Finding Shredded Paper and Black Rice-Like Things? It is very likely that you have found a mouse nest. A mouse will build its nest from just about any soft material or finely shredded paper. And the little black "rice" is most likely mouse droppings. Where Should I Put Mouse Traps? Traps should be placed where the mice are. If you have found any signs of mice—shredded paper or cloth, droppings, urine stains, gnawed items—place the traps in those areas. Traps are available from home and garden stores or even some grocery stores. Many can be reused, while others are intended to hide the trapped mouse from view and be used only once. I Know I Have Mice, but My Traps Aren't Catching Them! Mice are very curious and will investigate new things. So, if mice are not caught within the first days of trap placement, the trap is probably in the wrong place and should be moved. Place the trap where any signs of mice are seen, or where food or water is available. Contrary to popular belief, cheese is not the best bait to use in traps. Peanut butter can be very attractive to mice, but it needs to be replaced if it gets too dry or hard. Other good options are bacon, nuts, dried food, and sticky candies. The bait should be securely attached to the trap trigger so the rodent can't simply pluck it off and walk away. Often, a small amount of peanut butter worked into the crevices or cup of a trap is the most effective bait. Mice are attracted to the smell and will have to work to get the food out of the bait, setting off the trap. I Think I Have Mice, but I Never See Any. Why? How Quickly Do Mice Breed? In a single year, one female mouse can breed up to 10 litters of five to six young. These 60 offspring can begin to reproduce themselves in as little as six weeks. So within months, you could have a huge population of mice. A mouse can slip through holes and gaps as small as 1/4 inch, or roughly the size of a pencil. And if an opening is not big enough to squeeze through, the mouse can gnaw it until it is big enough. Mice also can jump 13 inches high and can run along wires, cables, and ropes. They are excellent jumpers, swimmers, and climbers and can scale rough and vertical surfaces. Eliminate mice by placing traps or bait where they are known to travel. There are a number of methods of control, including traps, baits, rodenticides, and professional control. However, trapping is generally the best and safest method for homeowners to attempt. Traps can be used to kill the mice, or they can contain the animals for relocation. In addition to trapping, it's a good idea to exclude mice from the home by sealing openings around pipes, roof vents, and other potential entry points. Keeping a few traps set in likely nesting areas or entry points for mice can provide early detection of mouse intrusion. What Damage Do Rats and Mice Cause? Something Is Stealing My Mouse Bait!